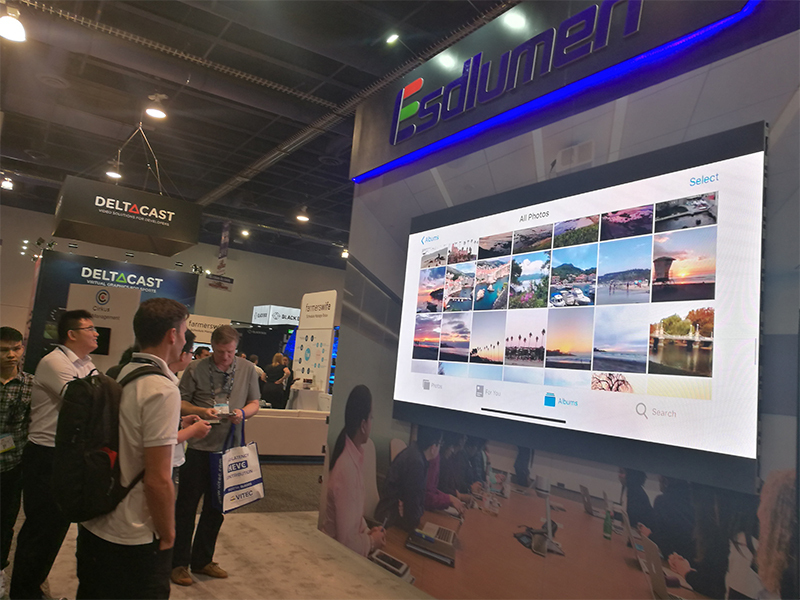 On April 8th, 2019, the famous electronic media exhibition, the American Broadcasting and Television Exhibition (NAB Show), has been started in Las Vegas, USA. 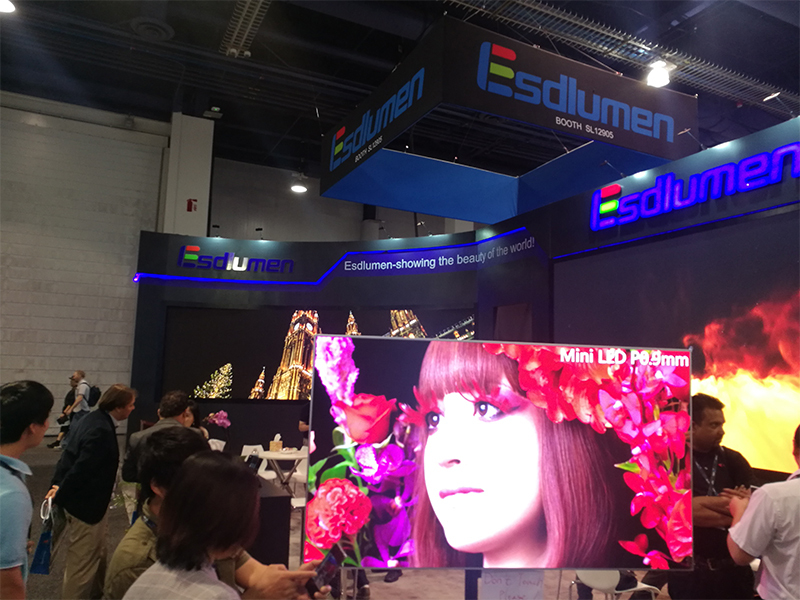 As one of the most well-known electronic shows in the global media, the NAB Show has integrated the top high-end brands in the electronics industry. 1800 exhibitors from 166 countries all around the world were attracted. Meanwhile, there have been more than 102,000 industry visitors attend this exhibition. 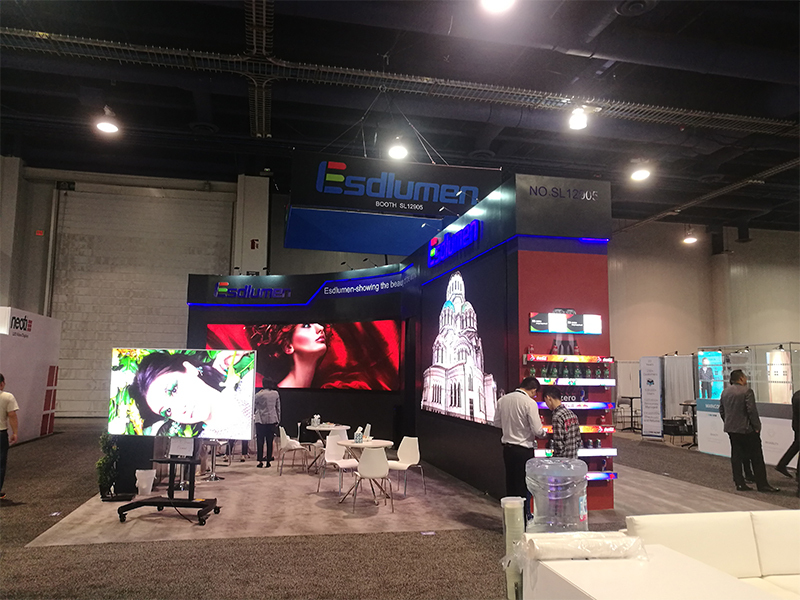 As the world-leading supplier of LED display applications and solutions, as well as the industry's innovation leader, Eastar Electronics has taken several latest products of Mini LED technology to the NAB Show. 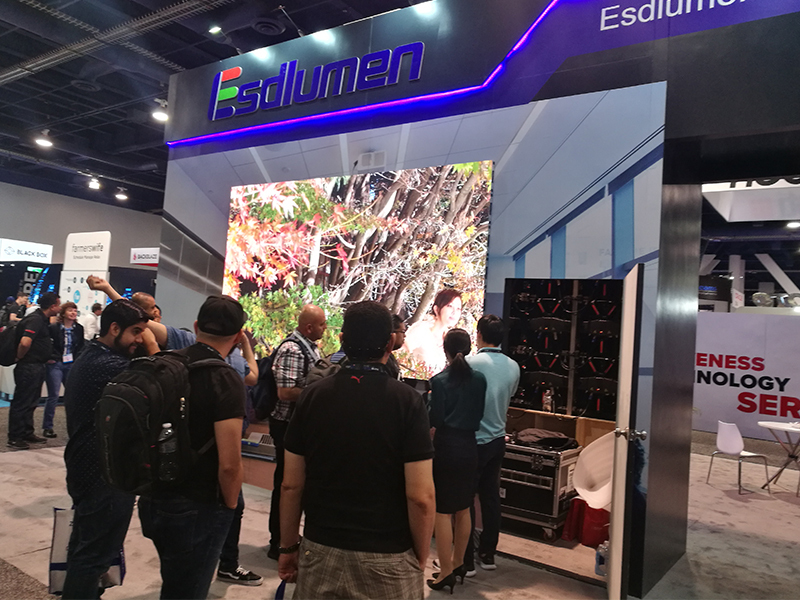 During this exhibition, Many visitors have attracted by the latest Mini LED commercial display technology of Eastar. Compared with some other Mini LED products, The VE series of Eastar, which got the red dot design awards, has many advantages, such as the 0.9mm pixel pitch, dual power supply, wireless connection, seamless splicing, and the highly integrated 4-in-1 Mini LED technology. It solves the problem that the ultra-small-pitch LED display is easy to be damaged, the COB product cannot be repaired on site, and the surface ink color and display brightness consistency are solved. With these qualifications of brand protection, latest technology, and patent endorsement, customers always have confidence in us and consult our products on-site. Besides, some other products, such as shelf screen (Ticker series), also showed on this exhibition for shopping mall application. Different from traditional storage shelf signs, this shelf screen can dynamically show product information and display some relevant advertisements, which can almost change posters for more than 500 times an hour. Eastar provided professional solutions for the business area during this show. Our products have the features of high saturation, high color reproduction, high contrast and high refresh rate, which solve the disadvantages of LCD and DLP products in the business area, and perfectly meet the display needs of the broadcasting industry, and bring an excellent display and zero-noise operating environment for indoor applications. What’s more, the straight and curved connecting devices can meet the splicing requirements of different shapes. 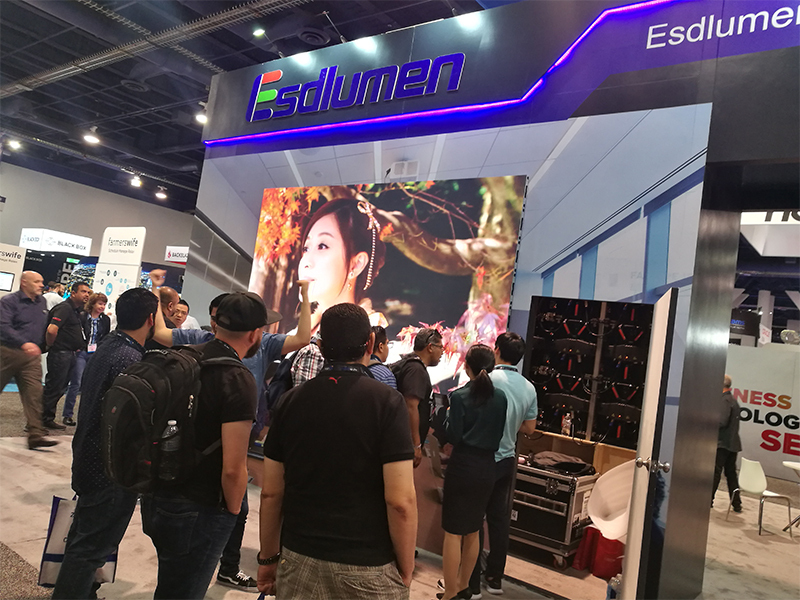 NAB Show witnessed the continuous innovation of Eastar Electronics in technology, the constant transcendence in the industry and the constant creation of media solutions. In 2019, Eastar will continuously increase the investment in R&D, so that we can provide newer and more professional products to our customers.